Justin represents clients in a comprehensive range of private and public sector labor and employment matters, including employment discrimination claims in federal and state court as well as arbitrations of discipline and contract grievances. On behalf of clients, he has also appeared before the NLRB, the New Jersey Public Employment Relations Commission and the New Jersey Office of Administrative Law. Prior to joining Fox, Justin was an associate at an East Coast-based law firm. He also served as a law clerk to the Honorable Ariel A. Rodriguez of the Superior Court of New Jersey, Appellate Division, and a judicial intern to the Honorable Fred H. Kumpf of the Superior Court of New Jersey, Law Division. During law school, Justin was the managing notes editor of the Rutgers Law Review. 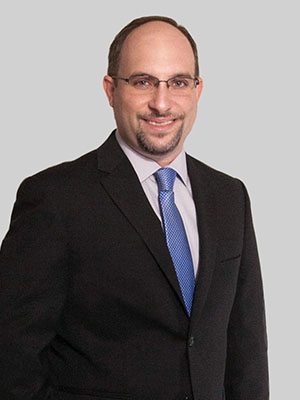 Prior to his practice of law, Justin was a K-8 general and instrumental music teacher. Justin is an avid musician who has performed on trumpet and bass throughout New Jersey, New York, Pennsylvania and Delaware.